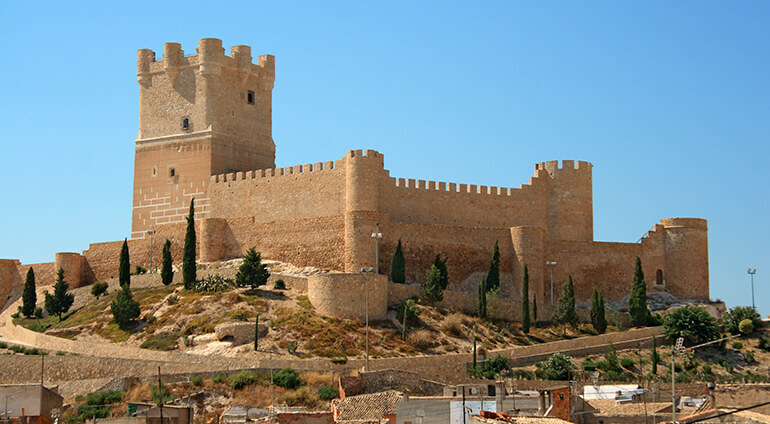 Although a trip to Alicante is as much about exploring its breezy esplanades and cosy terrace bars as it is about more traditional tourist sights, it’s hard to ignore the imposing Castillo de Santa Bárbara, which sits above the city on Mount Benacantil. The sweeping views from this large 16th-century castle alone make the uphill walk worthwhile, although there’s also a museum dedicated to the history of the city. While the walk from Plaza del Carmen through Parque de la Ereta via Calle San Rafael is all part of the experience, there is also a lift that will take you up to the summit. Alicante’s Old Town forms a triangular shape, two sides of which are the seafront and Mount Benacantil, and is a tourist-friendly spot, with narrow streets that are worth a wander though. It’s also home to the city’s two main art galleries. The Museum of Contemporary Art (Museo de Arte Contemporáneo de Alicante) is found inside the 17th-century Casa de la Asegurada and boasts an excellent collection of 20th-century Spanish art, including works by Dalí, Miró and Picasso. The Museo de Bellas Artes Gravina (MUBAG), Alicante’s fine-arts museum, features canvases from the Middle Ages to the 1920s. Slightly further afield on the other side of Mount Benacantil is the popular Museo Arqueológico Provincial. While the collections of ceramics and Iberian art here are impressive and there are some high tech visual displays, it’s worth noting that translations are not provided in English, so you’ll need a good understanding of Spanish to enjoy it to its full potential. While it’s not short of impressive tourist sights, many come to Alicante for its beaches. The wide golden sands and tranquil waters of Playa del Postiguet are found right at the heart of the city at the base of Mount Benacantil, or you can travel along to San Juan beach to the north-east, a beautiful 7km stretch of white sand considered to be one of Spain’s best beaches.